Careful processing and near-natural cultivation are the basis for our wine quality. Hence, all Weingut HANS-IGLER wines are a trademark of the region: Blaufränkisch Ried Hochberg, the Cuvée Ab Ericio, the pure-bred Cabernet Sauvignon, the top-cuvée VULCANO and many more. We are proud that our wines contributed to the image formation of the Blaufränkischland. Weingut HANS-IGLER wines are classics of the Austrian Red-Wine-World. The Blaufränkisch Ried Hochberg consists mainly of grapes from younger vineyards. The VULCANO (Cuvée from Blaufränkisch, Cabernet Sauvignon, Zweigelt and Merlot), Ab Ericio and Blaufränkisch Biiri from grapes of older vineyards. This is also true for the Cabernet Sauvignon and top Cuvée Ab Ericio. In the peak segment Clemens Reisner's creation "C" (Blaufränkisch) is wellknown. Some of our products are available in oversize bottles (i.e. 3l, 6l, 12l). 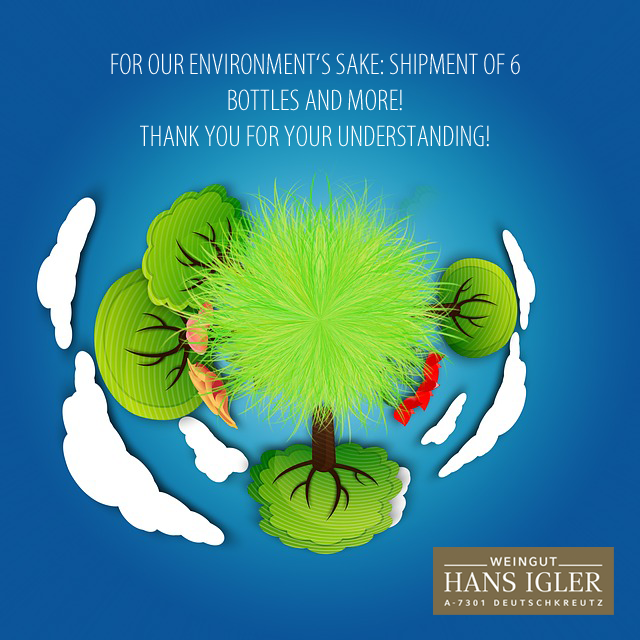 These are perfectly suited for long storage, and often used for lifetime-events and business occasions: Please contact us under +43 (0) 2613 / 80 365 or info@hans-igler.com for bottles of your convenience.